BEING accepted into the prestigious Australian Ballet School is a dream that many ballet dancers won’t fulfil. 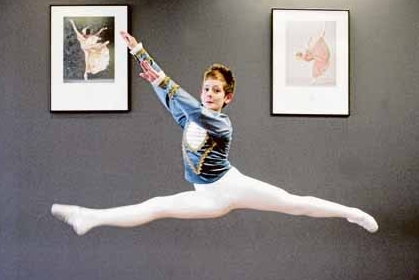 But Castle Hill classical ballet dancer Harrison Lee did so when he was only eight years old. 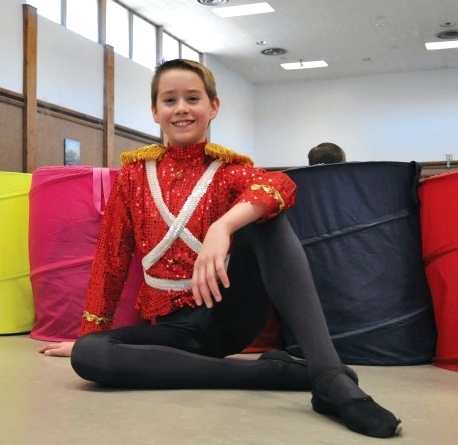 Harrison, now 11, was recently cast in the ensemble of The Nutcracker at the Sydney Opera House, his third professional production with The Australian Ballet. The sold-out performance premiered on December 3 and Harrison said he was excited and nervous about his first night. The St Angela’s School pupil started dancing at the age of five after joining his sister’s dance class. And he hasn’t looked back. 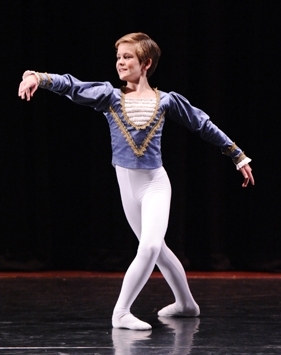 He has won many McDonald’s Sydney Eisteddfod awards — including gold in the boys’ dance category in September — successfully held a spot as an interstate student at the Melbourne-based Australian Ballet School for three years and is starting a scholarship with The McDonald College at North Strathfield next month. Mum Cindy said she was overwhelmed when Harrison was accepted on the spot to join the ballet school in 2007. “He auditioned and normally dancers have to wait a while to find out, but Leigh Rowles (the head of student training) walked out of the room and asked if he could start next week,” she said. Harrison said it was a privilege to learn from the professional dancers and teachers of the school. “I enjoy meeting new people and experiencing how different teachers teach,” he said. “It helps with my corrections because every teacher notices different things to correct. Iowa City native Marcus Pei was born to boogie, so it’s no big surprise that a song by that title is his favorite number in “Billy Elliot: The Musical.” It’s a quick shoe-change number that rolls tap, ballet, jump rope and more into one song. Kind of like his life. Marcus, who turns 13 on Nov. 13, 2010, is in Chicago, rotating the coveted title role of the dance prodigy who secretly trades boxing gloves for ballet shoes, leaves his coal mining town for London’s Royal Ballet School and catapults to stardom. Marcus is the second Iowa City native to play Billy. Alex Ko has been dancing the role in New York for a little more than a year. The hit musical based on the 2000 movie is playing through Nov. 28, 2010, at Chicago’s Ford Center for the Performing Arts/Oriental Theatre. Marcus performs two or three times a week and is on standby for two shows. After the show closes in Chicago, he will leap into the role in Toronto in late January. That will be a sort of homecoming for the young performer, who left his home in Iowa City last year to attend Canada’s National Ballet School in Toronto. He’s being home-schooled now, but will attend classes at his Toronto school for three weeks in December before taking a break to visit family and friends in Iowa City. 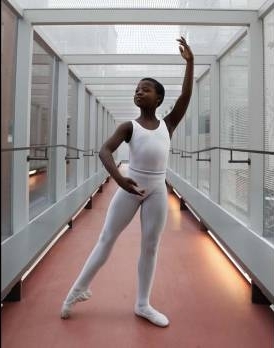 The A-student, whose favorite subject is math, plans to continue his academic and performance training in Toronto through high school, then continue with a professional dance career. His mother, Kristin Monroe-Pei, 36, studied and performed with the Dance Theatre of the Hemispheres in Cedar Rapids, appearing in the troupe’s annual “Nutcracker” ballet. His brother, Miles, 10, is on a half-year scholarship with Ballet Chicago and will be dancing the lead boy role of Fritz in “The Nutcracker” from Dec. 17 to 19 at the Athenaeum Theatre in Chicago. All three have performed in “The Nutcracker” in Iowa City and Marcus danced the lead boy role last year in Toronto. Mom continues to study, too, taking classes at the Joffrey and Hubbard Street Dance companies in Chicago. That’s one of the advantages of having Marcus onstage with a resident company instead of a touring company. Resident companies stay long enough for the cast families to move to a city and explore all it has to offer. “Miles and I will be the last of the cast families to leave Chicago,” says Monroe-Pei. Miles and Mom will follow Marcus to Toronto, too, arriving in early January. In 2009, Marcus attended a four-week summer program at the Toronto school and was invited to stay. He enrolled as a boarding student, leaving behind Longfellow Elementary and his family. He auditioned for “Billy Elliot” in February in Toronto, was sent to New York for a five-day audition in March, and in early April found out he’d be joining the cast in Chicago on June 14 to start training. The experience also has helped bridge both sides of Marcus’ family. That first impression has proved true. 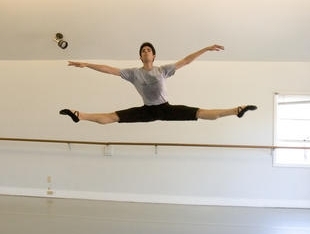 As Mario Vitale Labrador peers into a classroom at Berkeley’s Shawl-Anderson Dance Center, his focus goes far beyond the group of dancers bending and stretching their long limbs into elegant lifts and pliés. 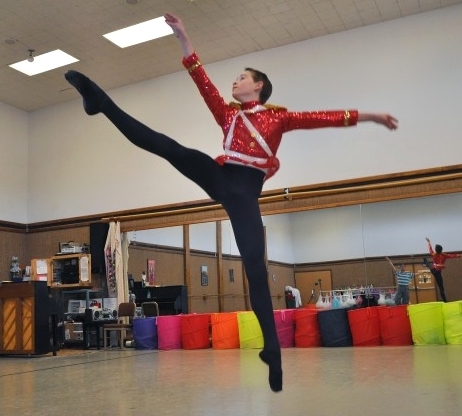 The Alameda resident has a shot at occupying one of those coveted spots when he begins classes Sept. 1 at the Bolshoi Ballet Academy in Moscow, one of the most prestigious dance schools in the world. 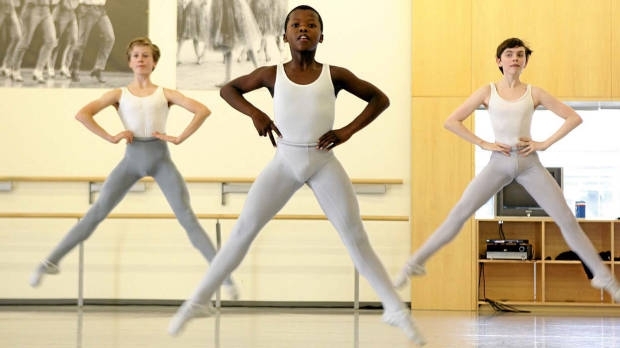 It’s a great achievement for any young dancer to be accepted into the 273-year-old academy known for its demanding curriculum and highly skilled performers. It’s even more remarkable for the 19-year-old, who didn’t begin training until he was 10, an age at which many young dancers have been studying for nearly half their lives. 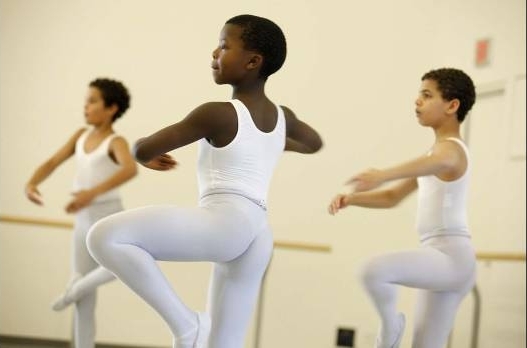 Ronn Guidi, former artistic director of the Oakland Ballet Company, noticed Labrador’s raw talent when he accepted him as a student at the Oakland Ballet School, now known as the Oakland Ballet Academy. Six months later, Guidi gave him the part of Fritz in the school production of “The Nutcracker.” After increasingly demanding and high-profile roles, Labrador, then 16, was invited to join the Oakland Ballet Company as an apprentice. 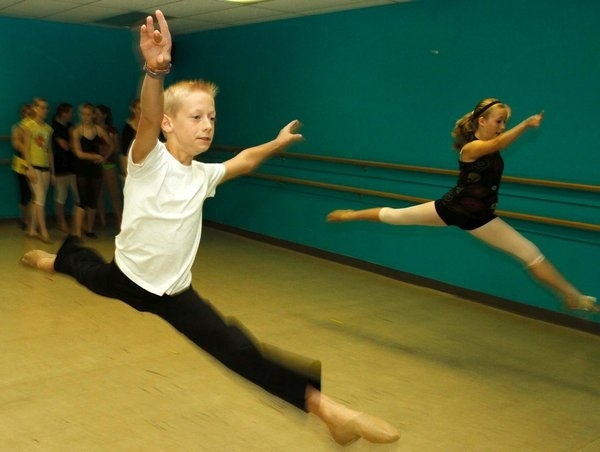 Last year, when Labrador was asked to perform with the Walnut Creek-based Diablo Ballet, he was the youngest dancer ever to work with the troupe of seasoned professionals. Lauren Jonas, Diablo Ballet’s artistic director, says Labrador has the potential to become one of the greatest dancers of our time. Despite the accolades, Labrador remains humble. 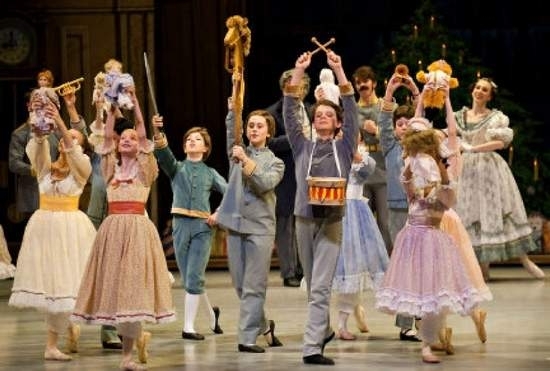 The idea of applying to the Bolshoi came from a conversation with a friend who had recently been admitted to the school and wished Labrador could also attend, he explains. He auditioned on a whim, with the help of friends who helped him put together an amateur video to submit to the Moscow-based institution. When he unexpectedly received a letter of acceptance, he was overjoyed. Then reality hit home. The tuition alone is nearly $14,000, no small challenge for Labrador and his mother, Gina Vitale, a single parent. Undaunted, the pair have reached out to friends, family and the community to help with the tuition, expenses for translators, a plane ticket, food, clothing “and all the usual things you need to go out of the country if you’re a ballet dancer,” Labrador says. When he starts school next week, he’ll dive headfirst into a curriculum of ballet, modern, contemporary and Russian folk dance. He’ll learn a new language and surround himself with Russian arts and culture. And assuming all goes as planned, when Labrador graduates next year from the choreographic arts program as a certified Bolshoi-trained dancer, he’ll be one of the first young American men to complete the internationally renowned program which has, until recently, been closed to foreigners. It was only last year that two young dancers — Emma Powers and Jeraldine Mendoza, of City Ballet School of San Francisco — became the first American women accepted to the Bolshoi’s Russian program. “They’re very strict and they like to be very physical,” Labrador says of his initial taste of the school, which he experienced earlier this summer at a training workshop in New York. But the intensity appeals to Labrador who is the picture of determination and concentration. While his exposure to the school has been fairly recent, thanks in part to YouTube, he’s deeply knowledgeable about Russian ballet history and its stars, whom he watches constantly in online videos. Still, he’s keenly aware of what he’s accomplished. Although he’s not sure which company he’ll join after he completes training at the Bolshoi, he says he’s not going to worry about the future. Joshua Bergner didn’t want to dance, he wanted to play football. He is, after all, a 12-year-old boy in a state where football is king. His mom, Sherri, knew her home-schooled son needed a sport or PE class for his education – but football? Joshua was on the small side for his age, and Mom didn’t want to see him get squashed. So she got sneaky: All the best football players train by doing ballet, she told Joshua. Getting him to try ballet was “like pulling teeth,” his mother said. Fast forward to the present, and Joshua is glad he fell for his mom’s bluff. This summer, he was named Junior Mister Dance of America 2011 by Dance Masters of America in a national competition. Plenty of real men dance: Gene Kelly, Fred Astaire, Mikhail Baryshnikov, Donald O’Connor. Now Joshua Bergner. He takes more than 20 hours of lessons per week in tap, jazz, ballet and various styles. He tap dances in aisles at Target. “I don’t really have a favorite style,” he said, on a recent rainy afternoon before dance class. His goal is Broadway and perhaps maybe a victory on “So You Think You Can Dance,” which he views clips of on YouTube, because his family doesn’t watch television. He wants to be a dancer and a missionary, he said. Now that he’s Junior Mister Dance of America, he’ll travel to dance for other schools and students. Next year, he’ll pass the title to another young dancer. But he will not be bugging his mother to play football anytime soon. Who wants to play football when you can dance? Copyright © 2010, World Publishing Co.